Senior quarterback Eric Dungey completed 23-of-32 passes for 218 yards and a school record-tying five touchdowns, and Syracuse (2-0) defeated Wagner (1-1) by the score of 62-10 in the team’s home opener on Saturday afternoon at the Carrier Dome. Dungey engineered scoring drives on seven of the Orange’s first 10 possessions while helping Syracuse build an advantage that reached 45-7 by halftime. The Orange tacked on two touchdowns and a field goal in the second half, while limiting he visitors to a field goal. 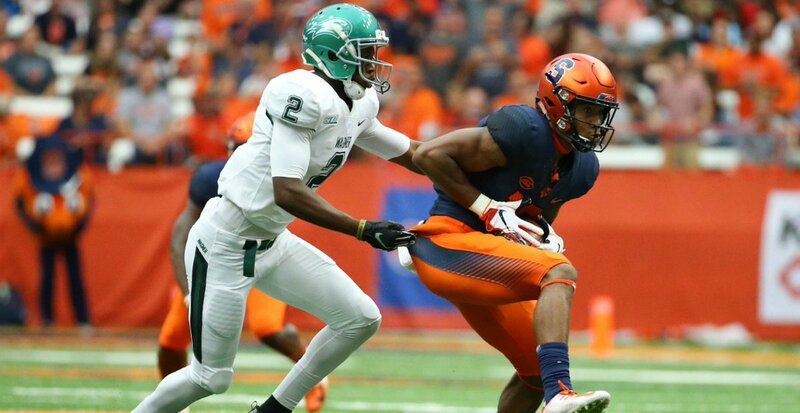 Syracuse (1-0) kicks off its 2018 home slate today, welcoming Wagner (1-0) to the Carrier Dome. The game kicks off at 3:30 p.m. and will be televised on ACC Network Extra. Exciting fan experience additions are coming to the Dome this fall!